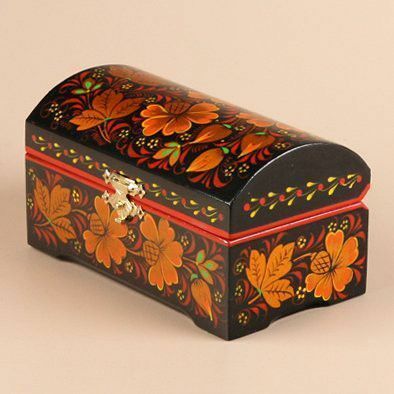 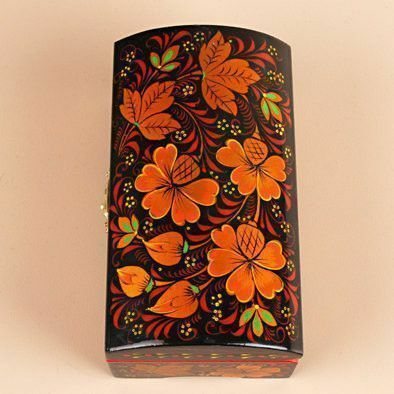 This khokhloma (hoh-lo-ma) jewelry box showcases the beautiful and traditional art of Russian Khokhloma and features a lacquer finish. 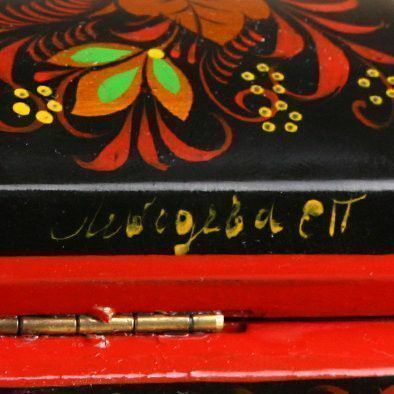 It is signed by the Russian artist on the back (Lebedeva, E.P.). 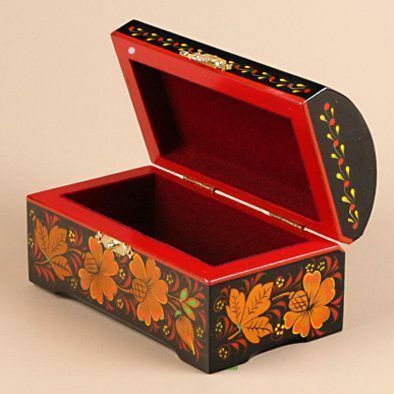 Great box for jewelry!